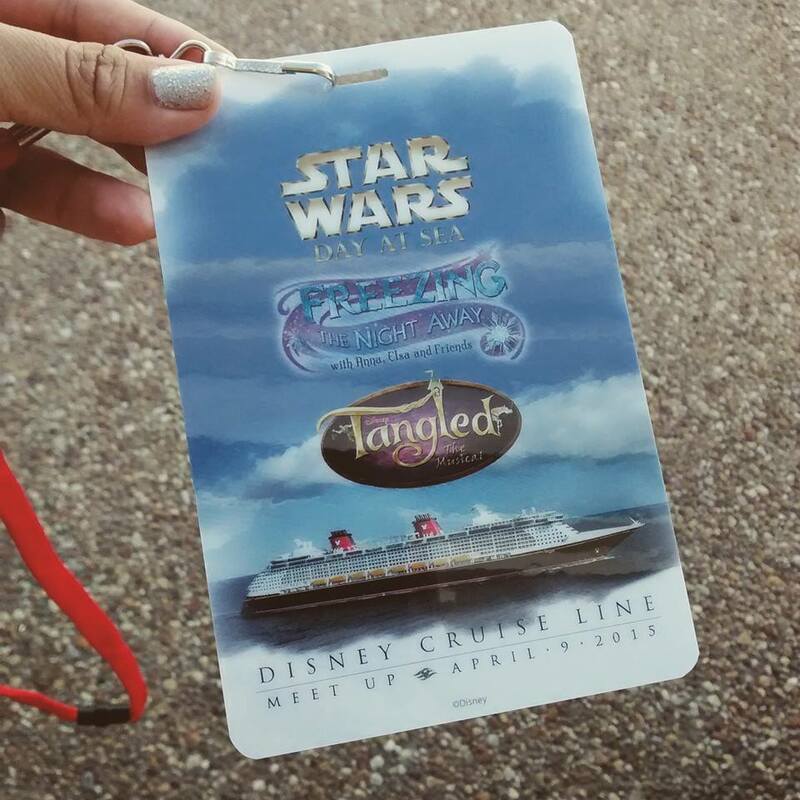 RECAP: First-ever Disney Cruise Line Meetup! Last Thursday, April 9th, I had the pleasure of attending the “First-ever” Disney Cruise Line (DCL) Meetup! It was a fun morning, full of friends, special announcements and, to the delight of Anna – desserts! The event itself kicked off at 10 AM, but check-in started early, at 8:30, when we received our credentials. Of course, the time passed really quickly, especially in the company of new and old friends (Hi Diane!) and so before we knew it, we were being ushered in to Atlantic Dance Hall, and treated with a wide array of beverages. The crowd had to be around 100-ish; big enough to feel like an audience, but small enough to feel intimate. 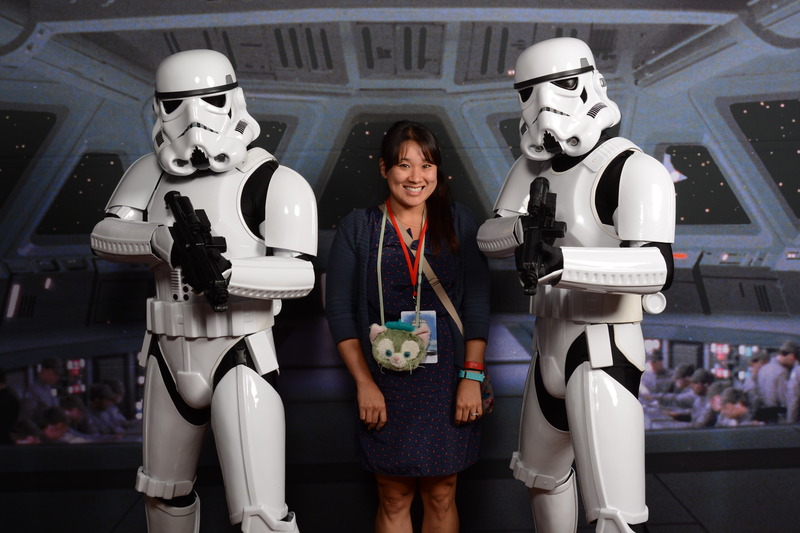 The presentation itself was hosted by Disney Parks Blog / Social Media Manager Jennifer Fickley-Baker, and once it kicked off, it was non-stop entertainment from beginning to end! In about an hour, we learned about three new entertainment offerings come to the DCL: Star Wars Day at Sea, Frozen Fun, and my favorite announcement, Tangled: the Musical (click each link to learn more and find out what dates these experiences are being offered. Each concept was presented by a representative of that development/entertainment team, which gave it an extra edge of fun and excitement. 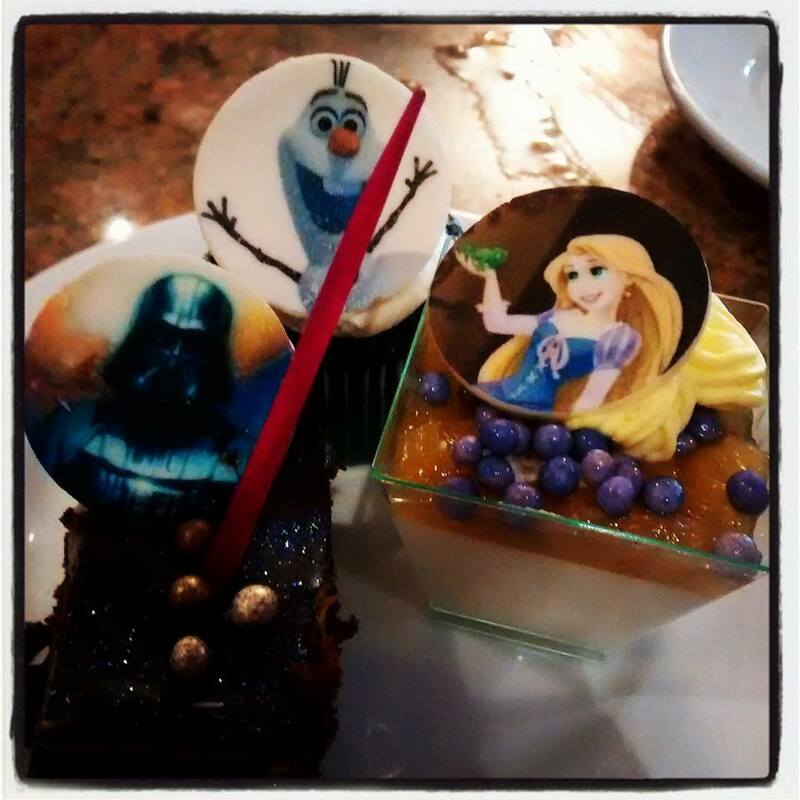 Olaf Blue Velvet Cupcake, Peanut Butter and Chocolate Ganache Darth Vader & Rapunzel Coconut Pineapple Panna Cotta. Of course, after the presentation, there was some time to meet our favorite characters, as well as sample some specially themed treats! As a huge fan / frequent cruiser of the DCL (see posts:Spring Break 2009, Very Merrytime 2013), it was definitely thrilling to see what’s on the horizon! One of my very favorite things about DCL is that it really does appeal to everyone. Over my 6 cruises, I’ve traveled with friends, family, and even my not-usually-a-Disney-fan husband. You see, we not only became engaged on DCL (Spring 2009), but we honeymooned on it (Winter 2009) and even took an anniversary trip for our Christmas gift to each other in 2013! While we may not be setting sail anytime soon (that I know of anyway…though I am always ready for another one, especially with these new entertainment additions!) it is refreshing to see updates and enhancements added to the guest experience. If you could pick any of the new offerings on DCL to check out, which would you choose?